Hey y'all! I've had my Juki for over a month now and feel it is time to give my review and pros/cons as promised. I also had the opportunity to use a brand new Bernina 580 this past weekend at QuiltBLISS and while I only used it for two days, I feel like I can give a little bit of my opinion. Please take all of this with a grain of salt. These are my opinions and I have no affiliation with either Juki or Bernina. I paid for my Juki and paid to rent the Bernina with my (or Mr. Relish's) money. * Also, if you have either one of these machines and would like to add to my list, please feel free to do so in the comments (even if you have a different model). I want this post to be as informative as possible, especially if someone is reading this and in the market to purchase a new machine. I will start with the Juki. This will be more detailed since I have had more use with it. Fast - Stiches are 1500 per minute! When you are doing straight stitching, it goes fast, smooth and creates beautiful stitches! Sturdy - All metal and heavy, but not too heavy to take with you! Thread cutter - Super fast thread cutter (1 second) and you can trim them using the foot control by just rolling your foot with your heal to cut. Feed dog lever in front and easy to switch. Only has one stitch and that is straight. No digital features or computer. Needs to be oiled every day/use. Bobbin case is hard to get to when the extension table is on. All I can say is that I LOVE this machine! I have a Brother SE400 that has all the fancy stitches and embroidery capabilities so I don't need one that is more fancy than straight stitching. So for piecing and small sewing projects I will continue to use my Brother, but I will NEVER quilt or construct heavy duty items again on my Brother. I am 100% pleased with my decision. Separate motor for bobbin winder! I think this was my favorite feature! Knee lift - although they didn't include this with the rental and would have been nice. Strong motor and machine and creates beautiful stitches; however, I did not quilt on this machine to check out how well it quilts and if there were any tension issues. Ruler on machine. I find myself using the ruler located in front of my machines the most so having it on the machine is very helpful. Thread cutter is slower than Christmas! It takes about 4-5 seconds for it to cut the thread. I would find myself pressing the cut thread button then do other things while I waited for the thread to cut. Seriously. Threading issues - I really struggled with this the entire two days I used the machine. I was rethreading the top constantly because the trimmed threads were two short. Also, the thread (Aurifil) kept breading while I was sewing and could not figure out why. I basically gave up on using the machine by the end of the second day because I felt like I was getting more and more frustrated and my work was suffering. 9mm needle plate - fabric would get sucked into the plate when I would start a stitch. I was timid every time I used it. When I mentioned this to the Bernina lady, she said that she uses a different plate with that machine. I wish they had offered that to us for renting. Also needs oiling every day/use. 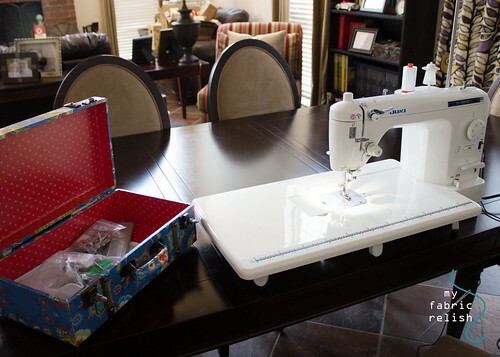 I decided to rent a machine at QuiltBLISS because I wanted to have a carefree and maintenance free sewing experience. I have a Brother 6000i I use specifically for travel and teaching and wish I had brought it with me and saved the $75. While I only experienced the 580, I do know that some of the other renters that sat near me had some of the same issues and some totally different issues. For example, the 560 model that is more geared towards quilting started having issues with tension on the second day and getting bobbin empty notifications over and over even though the bobbin was full. I think those issues were sorted out by the Bernina lady but I sure would have been pissed if I just purchased this approximately 5K machine to only have to take it right back to be serviced, even if it was a minor repair. It's really hard to compare these two machines since they are very different in their capabilities and I've only used both for approximately 12-16 hours each, but I feel even more confidant about choosing Juki over Bernina. Sometimes the fancy machines aren't always the best. I know that Bernina has some fantastic sewing machines out there, especially since the sewing room at the retreat was 90% Bernina, but I doubt I would point anyone towards the Bernina 580/560 if asked. Just keep it simple and save the money (even if that means getting a more simple Bernina). Like I mentioned before, please feel free to include your input below in comments. I would love to hear about what you love and hate about your sewing machine. *Just to reiterate, these are my opinions and I have no affiliation with either Juki or Bernina. I paid for my Juki and paid to rent the Bernina with my (or Mr. Relish's) money. I do not get any compensation for this post from any of the sewing machine companies listed above. Actually, I don't get any compensation what so ever for my blog...lol. Remember, a grain of salt! Edit 2/13/14 - What's a synonym for reiterate? -- Again, these are just my opinions and please don't take it personally if you have a Bernina. Seriously. I think Berninas are fantastic, but I did not enjoy this particular one and if that bothers you then I'm so sorry. Very good information. Thanks so much! I'm hearing more and more good reviews on the Juki. I bought my Juki in January 2012 and it has been LOVE since the 1st stitch for me! I've yet to find anyone who doesn't feel the same way. Thank you for the great info! I'm glad to hear that you do not have buyers remorse...that would be crappy. interesting reading about these machines. I have never come across juki but they are going to be at a big stitching show next month that I am going to. I have a bernina 1230 which I love. The one thing that troubles me is if I cut the threads too short I end up having to rethread it so now use a thread catcher and problem solved. Have had it 20 years and never oiled it or had it serviced, think maybe it is due but they say if it s not broke don`t fix it! Interesting I have never worked with a Bernina or a juki, I have a babylock. Brother and babylock are made by the same people. I love my machine! Cuts quick and the bobbin is easy to reach with the table on. I have a knee lift but have never used it! I really should get that out, I certainly paid for it:) more like Bernina prices. I've heard you can't beat a juki when it comes to quilting though. Great post! Thank so much for sharing your thoughts on the machines, Melissa. I don't have any experience with either of those, but I do believe more of us should be posting information on our opinions. There are always those seeking more info on different machines before making such a major purchase. Great post! I don't think you can base your experience with a Bernina on simply renting one for a short time. I will say they are not as user friendly or simple as the Juki or Janome, but they do provide a much better stitch quality and consistency. I think the problems you experienced were user error, simply from not knowing how to operate the machine properly. It's vital to use a single stitch hole plate or leaders/enders with a Bernina. After having 3 Janomes I inherited a top of line Bernina when my mom passed. I struggled with the machine for months before I finally found my groove with it. Just because you know how to sew does not mean you can hop on any sewing machine and sew. I struggled to get my "perfect" quarter inch, keep the thread from unthreading, and waiting for it to cut, but after I learned how to operate it, I fell in love. I still use my Janomes for travel and back up, but now that I've had time to bond with the Bernina I love it and can definitely see why people spend the money on them. Moneik, other machines also have great stitch quality especially straight only stitchers. Many vintage machines have a great straight stitch and for a lot less than the $5k+ that Bernina want us to spend on their machines. Glad you like your machine but Bernina is not the be all and end all of sewing machines. I have a Brother SE 350 and just yesterday (for my bday) my husband bought me a Juki! So excited! Thanks for the review, had no idea it would need oiling with each use. I probably woulda killed it. I agree with Moneik's comment. You can expect to run such a high-tech sewing machine after just sitting down. I have the Bernina 820. I took several months of classes to learn to use it (included with the purchase). The instructors were awesome. Now that I know how to use it, I absolutely love the machine. It has hundreds and hundreds of stitches and the free motion quilting is very good. While it may be expensive, when you compare my Bernina to a $1,000 machine that only does one stitch, there is no comparison. So, you might want to give Bernina more time... maybe take a class, then decide. You'd probably be surprised. My two cents! I am another one of the quilters that rented a Bernina at Quilt Bliss and was absolutely beyond disappointed at the performance of my machine. I am in my 50's and have been sewing for over 40 years. Every other sewing machine I have ever used I have been able to sit down and sew a straight stitch right out of the gate. Not the Bernina... not even close. 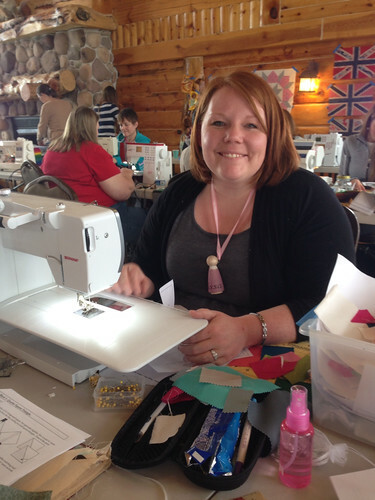 I have sewn with Janome, Husqvarna Viking, Kenmore, Singer, etc. The tension was awful, the thread would break, the machine would say my bobbin was empty when it was not, birdnests would form on the back of my piecing.....should I continue? If the Bernina machines need more time to get used to, then these machines should not have been rented to us for the retreat. Also, would like to add that many different types of Bernina machines were brought for quilters to rent and it did not seem to matter if it was the top of the line or the lowest priced machine.....every person was having issues. I am thankful to have tried the Bernina and save myself the buyer's remorse for a possible purchase down the road. I truly enjoyed meeting you Melissa at the retreat....hope the house situation is going well. I love these kind of posts! It's so informative to hear what everyone else thinks and has experienced. I just bought the same Juki as you in January of this year, and I haven't had a chance to really get to know it. So far, it seems like a beautiful machine that is great for piecing and quilting. Very well worth the money I spent. I also own a Bernina 440 QE. It is my main machine and I absolutely love it! I have a good amount of knowledge of sewing machines since I teach a lot of classes (fmq, applique and beginning) that require me to trouble shoot all kinds of machines. I have also owned a Viking, Janome and Pfaff (old and new). I still prefer the quality of my Bernina, especially for applique. It's has the best blanket stitch that I've seen. My model is not super fancy and it's about 6 years old. It can handle just about anything I throw at it. I'm glad you were able to try out a Bernina. It might be worth giving another look with a different model. I've heard mixed reviews of the Bernina 500 series. I hear the 700 series is awesome. But, it sounds like you have what you need and that's what counts! Thanks for the great post! I would say that if a sewing machine of any brand takes two months of classes to be able to sew properly it should not be a candidate for renting to someone who pays to come to a retreat and expects to be able to sew during the time paid for rather than working on the machine. Interesting post, and comments! I would expect ANY machine to be able to straight stitch simple quilt piecing from the get go, especially a machine you rent for a sewing weekend retreat! But I have two close quilting buddies who have a Bernina 440 each and are besotted, so it sounds like this weekend was a freak time :( I am determined to get a Juki when it comes time to upgrade my machine! Same as Ms Sparkles, if you please. Thanks for your review Melissa! To add my two cents . . . I know a lot of people who use and love their Berninas, so I respect those perspectives. I don't buy, however, the claim that you have to be experienced to effectively manage a Bernina. I also rented a Bernina at the retreat and I had persistent trouble with the tension and with receiving alerts that my bobbin was empty—when it was full. The technician/customer support person first insisted that the bobbin was actually empty, until she realized it wasn't. She then admitted that she has a persistent problem with her own machine in that some part through which the thread winds frequently gets bent. So much so that her repair guy taught her how to dismantle her machine and fix the problem on her own. So, from her own admission there is a propensity for the this particular machine (the 580) to cause trouble. I also suspect that the machines we rented hadn't been properly maintained before they were lent to us. So it may be that Berninas are just fine, but that the ones we rented were not. As a side note, I have used other Berninas before and have had no problems, so I don't buy the user error issue. I know that people love their own machines, and the more we spend, the less we want to admit that there can be shortcomings—even experienced by other people. love my juki TL2010Q (which has a ruler on the table, too, which you didn't mention)! i don't find the bobbin case difficult to access at all, but maybe i am more used to it since i've had mine longer? and I've not oiled it once since i got it. maybe i should do it once in a while! at least i clean it's lint out everytime i change the bobbin. I am, however, having some issues with straight line quilting lately, I haven't yet figured out what the issues are. Rachel Houser gets perfect straight line quilting on her juki - i know because i own one of her quilts she straight lined on it. so my issues are probably user related. other than that, i love the simplicity of the juki. if I'd had to spend months and months of pain with my machine before loving it, I'd have never made it. I'm just not that patient! i needed a machine that was good to go out of the box. and juki has been. her FMQ capabilities are awesome! I have my eye on a juki like yours so I appreciate your review. About 10 months ago I purchased a new bernina 330. I wasn't looking for a high tech quilting or embroidery capable machine. I didn't choose a higher model because the 330 had what I needed. It was just under $1000 at my local dealer. I use it ever single day, except Sundays. I have sewn on berninas before so it wasn't my first experience with them. I learned to sew on a mechanical bernina growing up and used my mother in laws nice quilting model, can't remember the numbers but it's more high tech than mine. So I expected a brand new sewing machine to sew great out of the box. Mine did but shortly after, I realized that lint built up much quicker in the bobbin compartment faster than my older kenmore, so I clean the bobbin area out pretty much every other day or it skips stitches. I've never been happy with the bobbin thread stitching. I even took it back in after trying to get it nice and tight but the repair man said it was normal. It's not a nice top stitch, maybe it's just my machine... I also get birds nest underneath when I start to sew if I don't hold the threads with my finger when I start to sew. There are just little tricks that you learn as you sew on any machine no matter what brand. That is why it is super important to really test out a machine when you are going to purchase one. I would recommend taking in a project quilt top, clothing, bag, that you can sew from start to finish to try out all the machine has to offer. Sew your project in the quilt shop with their floor models and really test them out! I would purchase my bernina again, even though it's not perfect, I love it! Very good information Melissa. I've been wanting to buy a larger machine like the Juki for quilting, but I've wondered about the Bernina since they seem to be very popular among quilters. It is nice to hear the opinion of someone who has used the machines. But I think when it comes time I'll go for the Juki. how totally refreshing to see a real review! I have considered the juki, Bernina, and Janome for my next machine. I have an older Bernina now, and love it except it needed motherboard replacement twice. Funny how some people get so defensive about their choice of machine as the woman reacting to your review. Personally I don't think one should have to take months of classes to use a sewing machine. We want to sew, and sew now. It's ridiculous for a Bernina not to have good tension. Must be a flaw in design as others perform well. The Juki reviews I've read are all thumbs up. Janome people love theirs too. I just wanted to throw in my 2 cents worth for anyone still following this message path as I have experience with Bernina, Janome, Brother, Kenmore and Singer. I still use Mum's first machine from 1967-ish the Bernina Record and without a doubt it is my all time favourite machine - no bells, whistles or prancing ponies - just straight stitch, zig zags and easy peasy button holes. It sews beautifully and works intuitively. It is a 'right out of the box straight stitcher extraordinaire'!! They still come up for sale on Ebay sometimes - and I would highly recommend it for any first timer - my Mum - an expert sewer & quilter - uses it to teach her grand daughter. I currently have Bernina Artista 145 and the 200E plus the fully loaded year old Bernina 820. I have often had tweaky issues with tension, 'birdnesting' and false warnings saying empty bobbin when it's full - however - with my 200E I can produce one of a kind, beautiful, digitized embroidery designs & Mum makes fabulous quilts, home decor and cool clothing for her teenaged grand-daughter with the others. What I have learned over the years however is how important your DEALER is - when you buy a machine - the folks that sold it to you come along for the ride so you better like them too - or at least until your warranty expires. You might have purchased a marvy machine but if the people who sold it to you hide behind the cash desk when they see you coming or greet you as a complete stranger in their shop when you just dropped 12k the day before - it won't be fun for you when your machine cacks out - and they almost always do at some point. When I bought my 200E that dealer - without any notice- went bankrupt 2 months later. I have quizzed a number of dealers over the years - and they will all say which brand they like the best and who they like the least. If you have competing dealers carrying the same brands look for consistency in their answers. They have told me what brand is in the most often for servicing, who has the best warranty and for me, most important of all -I want to know which dealer & manufacturer will give me THE BEST AFTER SALE CARE. Test drive the machines within your budget and at the same time test drive the dealers. Some machines maybe great but without a dealer to match - you won't be able to keep your great machine in great working order. Luckily we moved so I have a fantastic Bernina dealer here in Victoria. They are the only Bernina dealership but -they act as if there is competition out there. Their service quality almost tugs at the heart strings it's so good. So that all said, my recommendation is to buy your machine from the dealer nearest to you who has suitably answered those questions with answers that concern you. Most dealers I have met in this industry are truthful and work really, really hard for their customers. I've often felt that if there were more fellas buying sewing machines some of these policies wouldn't stand a chance. The cost of these machines and software are the same as a small car - though - like the auto industry - some of these manufacturers haven't quite mastered the relationship following the purchase. Today's consumers have high expectations of the entire product they purchase, especially fashion items they pay expensive prices for. They demand their garments to be constructed of high quality fabric, having a durable performance and having these details. Glad to find your blog, Thanks for sharing such a useful post. One of my friend is also using Juki, even she has a lot of sewing work. She purchased it after looking a lot of home sewing machine reviews, in short, she found tremendous positive reviews about it. The skills and knowledge of the annual clean and lube, repairs and adjustments, as well as the basic skills of sewing machine maintenance may be learned through sewing machine repair manuals and courses. You can learn the step by step procedures to insure optimum sewing machine performance. Thanks for the story of two sewing machines, it was a good read for me. A sewing machines can stitch heavy weight materials such as canvas by using needle feed or walking feet or a combination of both with the sewing machine. This is an inspiration to me, I had one Janome sewing machine but I gave it to my cousin. It is still working well. I always look for the Best sewing machine for the money . I have brother cs6000i. Your blog provided us with valuable information to work with. Each & every tips of your post are awesome. Thanks a lot for sharing. pinoytv. LotusLEDLights.com is a Canadian based online store for high quality LED (Light Emitting Diode) Lighting products that are energy efficient and fasadskylt environmentally friendly. We specialize in providing LED Lights and LED Bulbs that are direct replacement of the energy wasting incandescent and halogen bulbs and the mercury containing fluorescent lamps. Boaters were finding the light from LEDs too cold in appearance, poorly distributed, and output below their expectations. Making matters worse, the skyltar led voltage sensitivity of LEDs meant it was often necessary to add resistors into the wiring circuit in order to prevent voltage spikes and fluctuations from causing premature failure and poor performance. Any person with a creative mind can create a 123movies free video using a collection of sound effects, music, serial video titles and animation with Windows Movie Maker 2. For many boaters, the jury is still out on byggplast båtprylar LEDs. Although LEDs have become the latest rage in boat lighting circles as of late, there still remains many boaters unsure of their effectiveness and value. Great article on two sewing machines. You writing style inspires me. Thanks.